Bajaj Reinforcements LLP is a Sister Concern of Bajaj Steel Industries, Nagpur and was established in the year 2012. 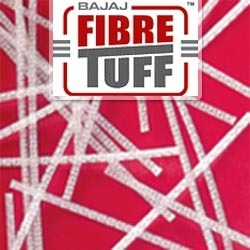 The Product Range offered by us consists of Polypropylene Synthetic Fibres under the Brand Name of " FIBRE GUARD" and "FIBRE TUFF" Under the supervision, leadership and guidance of our Director, Mr Bajaj, We have been able to attain a commendable position in the Fibre Division Segment. 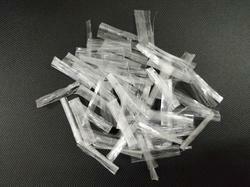 FIBRE GUARD: It is made out of 100% virgin polypropylene fibre using international Technology. It Provides Crack-free, Leakage-Free and Damp-Free Concrete and Plaster. It is very cost effective than other waterproofing material available in the market and can be easily mixed in a mortar for Concrete and Plaster. 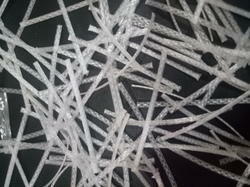 FIBRE TUFF: It is a Replacement of Steel bars in Ground Supported Slabs in Concrete. 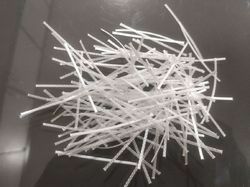 It is very cost effective than Steel Bars and increases the durability of Concrete by 7-10 years. Backed and supported by a team of skilled professionals such as production managers, engineers, technicians, logistics experts, quality controllers and other support staff, we work to attain maximum approval and satisfaction for all our above-mentioned products. Boasting by the experience and knowledge of our professionals, we work to cater to the precise needs and requirements of our patrons in the most efficient manner.